Starting off with Tallahassee, where the laid back and communal atmosphere has culminated in an almost familial atmosphere between its mobile entrepreneurs. Interest grew quickly, but the real magic happened after the creation of their Food Truck Association, which was quick to set up weekly rallies along Lake Ella on Thursdays, where many residents have flocked to rest and enjoy this fun culinary atmosphere. If one is thinking of starting their own truck and resides close enough by, Tallahassee has proven to be a great and welcoming city to start your mobile career in, whether to stay or as a jumping off point to other cities. Today we sit down with Rebecca Kelly, not only the owner of Street Chefs, one of Tallahassee’s cornerstone kitchen on wheels, but also president of the Tallahassee Food Truck Association. She was kind enough to take time out of her day to give advice in entrance and working in the city, highlighting the importance of patience and some of the events that their group does for Tallahassee. We thank her again for sitting down to answer our questions, and hope they can be of help to new owners entering the scene. Question: Tell us a bit about yourself, your business, and how long you’ve been operating in your city. Rebecca My name is Rebecca Kelly and I have been in the restaurant business for 19 years. 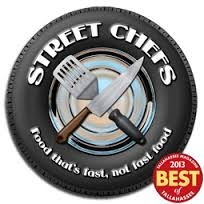 I opened Street Chefs in May of 2011. We were the 4th “Gourmet” Style food truck to open in the Tallahassee Area. We specialize in “Comfort Food” and are known for our ‘Not Your Mama’s Grilled Cheese ‘ sandwich and Shepherd’s Pie Wrap. Q: What was it like for you starting a truck in Tallahassee? Were you able to find help along the way, or was it a rather bumpy road? Rebecca: We had to figure out a lot on our own. There were a couple of trucks that opened a little before we did, and several just after we did, and forming a friendship with those owners made things a lot easier. Q: Are there any particularly unique difficulties in operating a Truck in Tallahassee? Rebecca: Tallahassee is a lot easier to operate in than say Orlando or Tampa. The City has regulations, but they aren’t intrusive to operating. We have to purchase permits and be licensed and insured, but other than that it is fairly easy to open and operate. Q: Are there any unique advantages or opportunities, strategies that work well with the local population? Rebecca: We have found that if you provide a great product, with local ingredients, at a fair price, people will come to eat. It’s really that simple. Q: One of the most common challenges beginning food truck owners have is navigating city regulations, including health and fire safety requirements. As you know these regulations vary considerably from county to county and city to city. Where should entrepreneurs go to find information about the local health code and fire safety regulations in Tallahassee? Rebecca: The city follows all of the state regulations and only requires a city business permit to operate. The only inspections we get are from the guys at DBPR. If you want to set up in one of the designated areas for food trucks in the downtown area, or at any public park, you have to register and be approved by the department of Parks and Recs, as well. It’s a pretty simple form and the folk there will help you out. Q: Are there any specific city regulations or requirements that should be particularly paid attention to, maybe are easy to overlook? Q: What’s the parking situation like? Do you need a special permit to park or is it a free for all, how easy is it to find, and would you suggest any particular areas to start focusing on? Rebecca: There is a Food Truck Court downtown that has good traffic patterns and there are trucks there on Wednesdays right now. We would love to see other days have just as much business. Like I mentioned, Parks and Recs issues all the City permits. No permit is required for private property – just the permission of the land owner. Q: You’re President of the Tallahassee Food Truck Association; how would you say that it’s helped the food truck community there, and how would you suggest newer trucks come in and participate? Rebecca: Since we started the TFTA in 2011, we have worked to help new owners grow and expand (2 of our members now have brick and mortar establishments as well as their trucks). We have also worked with the folks at DBPR to help educate (and feed) the community with events like the Mobile Food Fair that is held twice a year. We love working with new owners. I would suggest come in with a positive outlook and ready to work. Don’t expect to be invited to the biggest events right off the bat – people are going to want to see that you can handle it. Put in your time and build you own spots and events – help cultivate the community, don’t just walk in and expect to start making tons of cash and have everything handed to you. 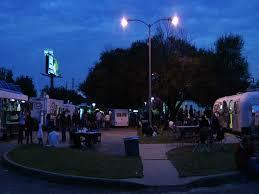 Come in, be a part of what we are doing and help yourself by making the entire food truck community stronger. Q: Part of surviving and building a Food Truck culture in any city is event organization; what sort of Truck rallies are usually going on throughout the year, and what are good strategies for newer trucks to take part in them? Any particular ones they should start with? Rebecca: First Friday at Railroad Square is a great event to get started on. There are 3-5000 people there each month and there are plenty of vendors – so you can stay busy but not feel slammed. It’s a great event for folks that may not have a ton of experience in the restaurant industry to get a feel for how a small festival would go. 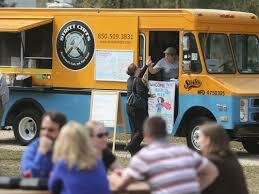 We also have Food Truck Thursday, which is an event put on by the TFTA and The Lake Ella Merchants Association. There is a finite amount of room at this event, so the selection committee has guidelines to follow to have a new truck come in. It is a very fast and fun event, with live music and a great crowd. And then there are plenty of events each month – lunches at office complexes, 5K runs, concerts, etc. The TFTA has a contact form for these event organizers to fill out so that our members get the information to plan which events they are able to participate in. Q: Anything else newbie food truckers should know about starting a business in (town name)? Rebecca: Patience. It’s not an overnight success business, and if you treat it that way you will just be disappointed. Food Trucks are just restaurants on wheels. You have to have a plan, and some knowledge of how to operate a business to make it work. Still interested in starting a mobile food business? Here are a few great resources to guide you down the right path. 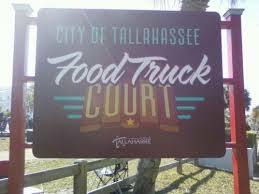 Tallahassee Food Truck Association – a great community to join in being part of the city’s full Food Truck culture; find out how to join, network with fellow mobile friends, and get access to Association-only events. City of Tallahassee Business Startup – a page with various links to direct you towards the different licenses, tax forms, etc that your business needs to run. Parks and Recreation – the main site for them, hopefully one can successfully use to contact and register for those tricky daily permits. Florida Department of Business & Professional Regulation – DBPR, the starting point for finding your licenses and the people who mainly do your truck inspections. Thank you souch for publishing this article. I have been wanting to own my own food truck/catering business for the last five years. I have been majorly discouraged by the amount of regulations and not knowing anything about running a business. This article has given me a renewed sense of purpose, and I am going to take the next step. Thank you again.